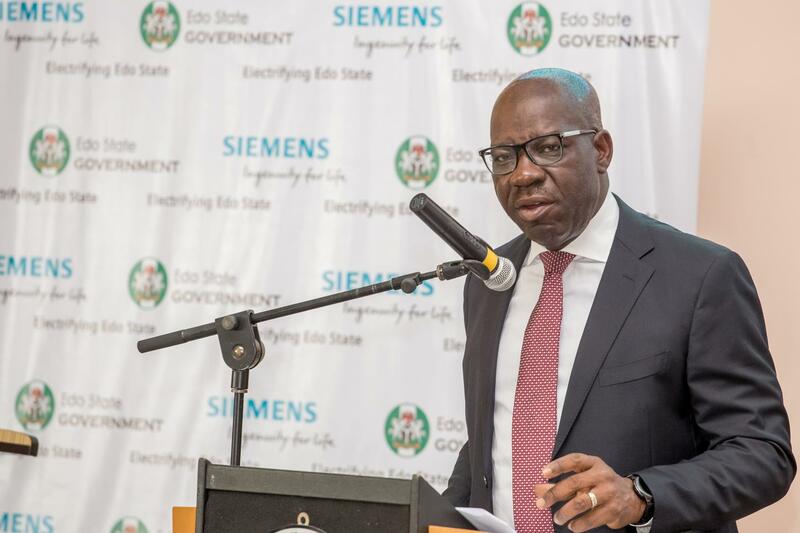 Edo State government, on Wednesday, took its first step in a collaboration with Siemens AG to generate 1000 megawatts of electricity, as it held a stakeholders’ forum aimed at identifying the challenges in the power sector of the country and proffering solutions to them. This, it emerged, would complement the expected power from Azura, Osiomon and UNIBEN Power Plants in the State. Speaking at the forum, the state governor, Mr Godwin Obaseki tasked the stakeholders to provide answers to how the state could avoid the limitations of the past and learn from the experiences of other states and power developers especially in the area of access to adequate gas supply. He also urged them to identify the challenges and solutions of revenue recovery to investors and developers, explore how the state could engage the federal agencies in developing Independent Power Projects for Edo, and highlight the most optimal financing options available to stakeholders. In addition, the governor restated his commitment to ensuring that Edo State generated a quarter of the country’s power supply, especially given the strategic geographical location and position of the state in the transmission network and supply of gas resources. Meanwhile, Siemens AG’s Head of Operations in Edo State, Onyeche Tiffase noted that the forum was pursuant to a Memorandum of Understanding signed with Siemens and the establishment of a Joint development Committee to generate 1000 megawatts of electricity over the next four years to complement ongoing investments in the power sector in Edo State. Elucidating on the demand for power in Edo State was the Managing Director of Benin Distribution Company (BEDC), Mrs. Funke Osibodu who noted that while Nigeria’s power supply alternated between 3000mw and 3700mw, roughly 9% of that was supplied to Edo State. She, however, noted that the state needed a supply of at least 500mw, but that it also had the capacity to distribute 1800mw because the necessary facilities to accomplish that, including transformers, were already in place.